Emigre has had their hand in just about everything design-related. I can easily spend hours clicking away at their website...reading essays from their now-defunct magazine (which was published for 20 years), window shopping for books and ceramics, or just staring in awe at the patterns and fonts. I suggest you do the same. It's time well spent. I think the owners are pretty smart too. They designed their business to include a leisure component from their lifestyle: travel. So now travel is a requisite for the business--moving them around the globe in search of goodies. Best of all, I'm sure a good chunk of those travel expenses are now tax deductible too. Isn't that a sweet deal? Personally, I can't think of a job better than this. The lesson: If you're thinking of launching a new business, think about how you can create a business model that includes activities you love. You should take advantage of this opportunity to design your lifestyle! PS. 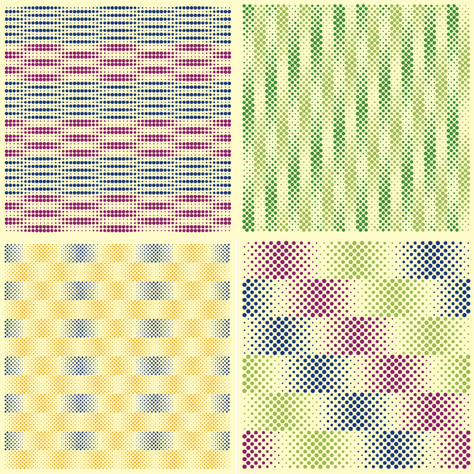 I'll be offering a selection of their Japan goods at the Modern Economy sale in September. 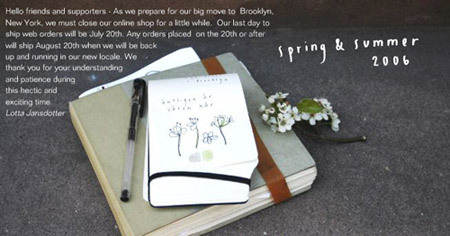 Lotta Jansdotter is closing her atelier/shop in San Francisco. Her assistant told me a couple weeks ago that they might be having a closing sale this weekend, but I don't know for sure if it's going to happen. I feel a bit sad about Lotta leaving San Francisco. I was her retail neighbor for close to two years--I left in 2004. 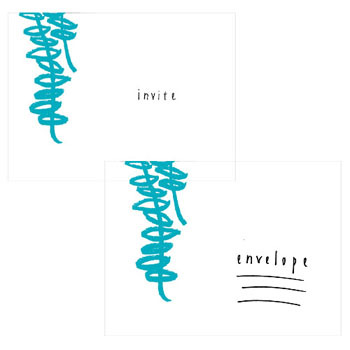 I owned a wedding invitation company at the time, which I started in 1999. I was first acquainted with Lotta's work in 2002. It was difficult to stumble upon designers then, there weren't any design blogs (that I was aware of) and I think Lucky magazine was still pretty new. You really had to work hard to find indie designers. Thanks to being a big time link chaser, somehow I landed on her website--and I was overwhelmed with excitement when I found it! I had just moved from LA and I went to visit her shop in SF. I asked her if she wanted to collaborate and design a line of wedding invitations. She happily agreed. There also happened to be an empty retail space next door to her. I took the space largely because I really wanted to be next door to someone so dang inspiring. Sadly, the Lotta Jansdotter wedding invitation line never came to fruition. 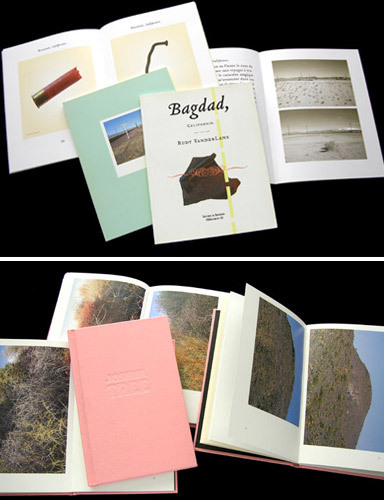 (The images shown here were prototypes to lettepressed.) Strangely, I couldn't find a client to sample them at the price point we wanted--which I'm sure would be different today! I know it wasn't because there wasn't a market for them, there was one I'm sure. But I was younger and still green with regard to marketing goods properly. Now that I look back on it I can think of a several things I could've done. 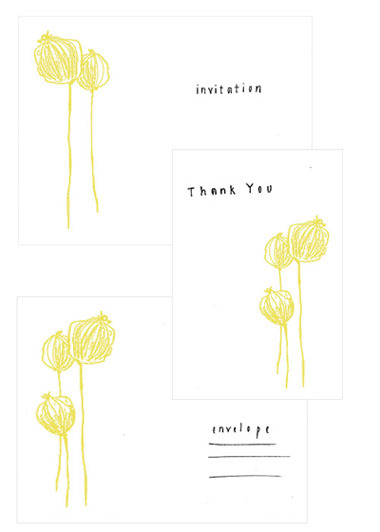 If only design*sponge had been around then--I'm sure those invites would've sold like hotcakes! 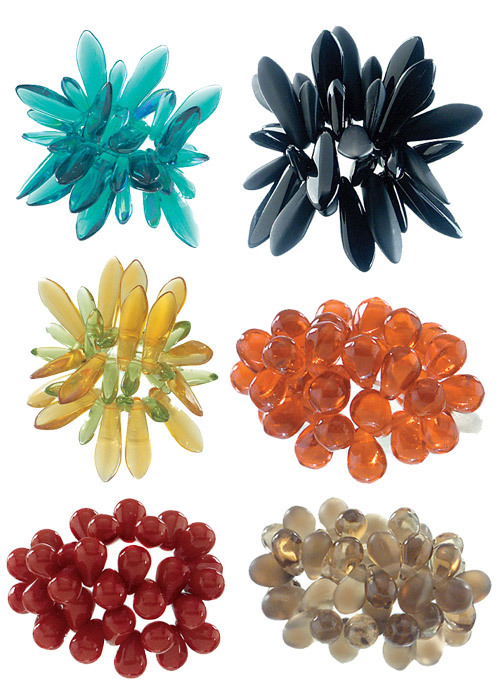 Plus, the market in general was alot less design savvy back then. I mean, a good number of my clients were still hopped up on organza bows. When I introduced a line of sewn invites, people were amazed. Not so, now, of course. Needless to say, after being around her work so much, it only hastened my dwindling interest in creating wedding invitations...and inspired me to carve out my own creative voice both in design and writing. Lotta introduced me to working with Chronicle Books. I even got Space Planner in large part because I was her neighbor. One of the editors was on her way to Lotta's studio when she dropped by my shop on the way. I showed her my sketchbook which had a sketch of Space Planner--and voila, it became a book. So I'm thankful to Lotta for many things--meeting her opened up my eyes to so many possibilities. I like mirrors for the opportunities they create--an opportunity to frame and capture a reflected image or scene. It can strengthen the overall design rigor you put into a space. 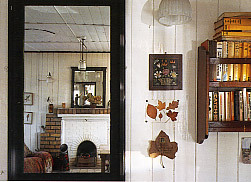 In the above image, the mirror is reflecting a fireplace scene and another similar mirror--you have the scene and frame repeating into infinity. 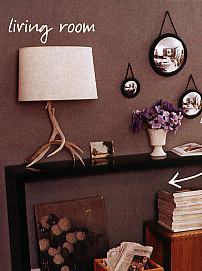 Here, a mirror duplicates a piece of art on an opposite wall plus it's used as a framing device. 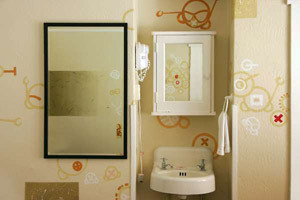 The position of the artwork informs the position of the mirror (or vice versa). 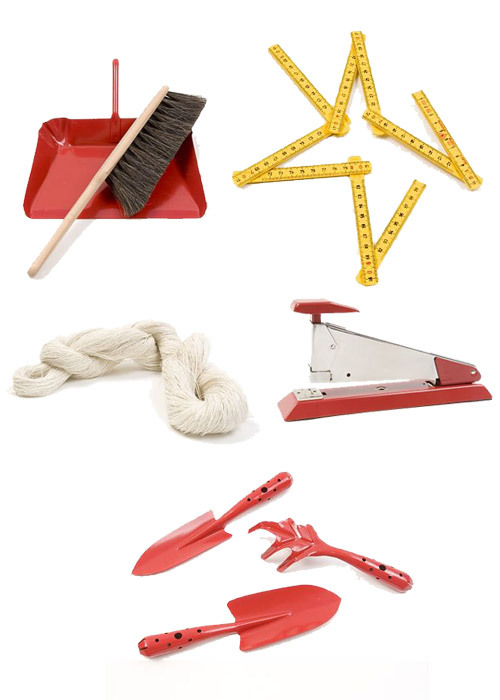 Talk about the interconnectivity of items in a room! This set of 3 mirrors captures interesting fisheye perspective shots of the room in small, medium, and large. 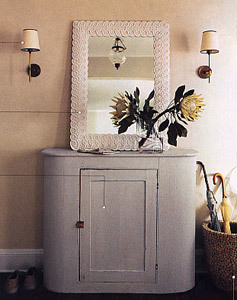 I like the way that the sconces flanking the mirror are equidistant from the pendant lamp viewed through the mirror. 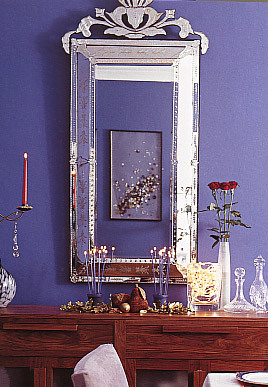 So you can use an element inside the mirror's frame to speak to elements outside of it to create a cool composition. 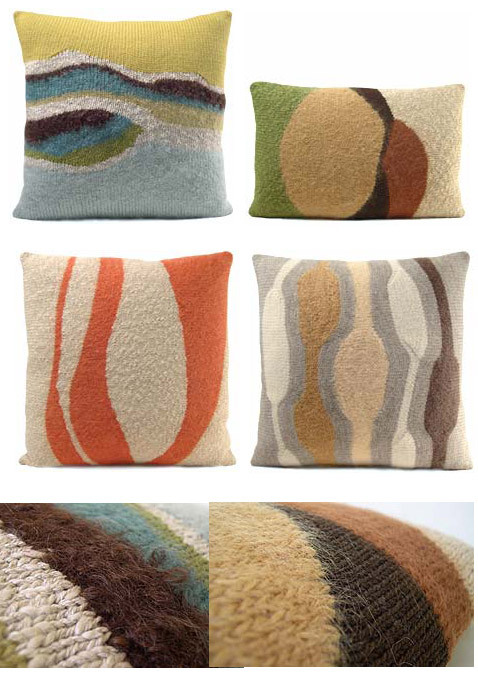 I love the way Lauren Saunders creates pillows combining fibers of differing textures, like cotton, alpaca, and mohair. The outcome is quite sophisticated and elegant, without any pretension. The pillows are quite casual and comfortable, a very laid-back California feel to them, both in color and the design (the above pillows are from her Canyon Collection). Best of all, she is a skilled crafter and hand-looms each of these pillows in her Ventura County studio. See an image of Lauren in her studio here. These are paintings by Agnes Barley. In her words: "My work attempts to crystallize harmony, to distill form into careful constructs of line that reveal an internal structure and its absence. These works on paper paint constellations that are self-contextualized and breathing. They are points in space or places isolated and unknown yet defined; constructions that whisper of a horizon with both movement and stillness." Hmm. Now, I'm not going to pretend that I completely understand all of that artist-speak. So I'm just going to say that I'm drawn to the dual simplicity/complexity of her forms. 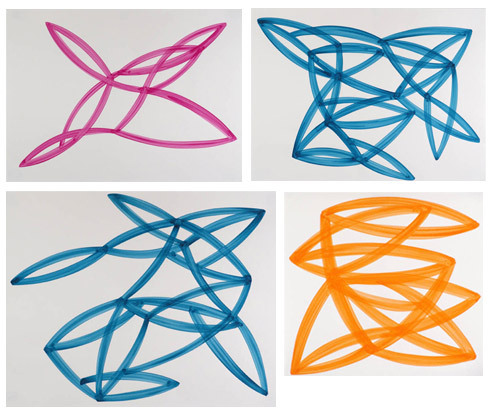 They are intriguing and pleasing. And much in the same way you can discern images in Rorschach ink blots, my mind immediately connects these abstract forms to human figures, animalia, and objects. While I was cleaning, I came across these postcards (first 2 images) of the Gropius House in Lincoln, Massachusetts. About 7 years ago, when I doing a summer architecture program in Cambridge, I, along with two other students/friends (Molly and Lorena), decided to go to the Gropius House. We were clearly poor planners as we hopped on a train to Lincoln without any idea of how we'd get from the station to the house. All we had was the address. So when we got off the train, we walked to a nearby store and used a pay phone to call a taxi. Yes, I didn't even have my mini-brick cell phone at the time because roaming charges were too high (it was different time). About 10 minutes later, a man in an unmarked Dodge Caravan rolled up claiming to be the "taxi". Obviously, we were hesitant to get in, but since he had his 8-year old daughter riding shotgun, we figured he wasn't a murdering maniac. We survived the trip to the house, but stared at door the whole ride through in case we needed pull a hasty A-Team style exit. 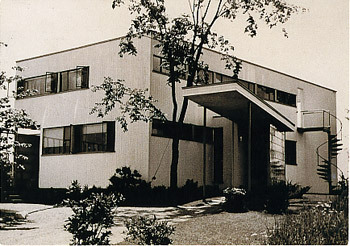 The Gropius House was built in 1938. You can imagine what their neighbors must have thought of their house. I think it's safe to say they were not down with the Bauhaus International Style. It must have been a hideous eye sore to them. They were probably pissed he wasn't building some colonial or false-front Victorian type thing. Walter Gropius was certainly far ahead of his time, a real visionary. It's described as: "Modest in scale, the house was revolutionary in impact. It combined the traditional elements of New England architecture -- wood, brick, and fieldstone -- with innovative materials rarely used in domestic settings at that time -- glass block, acoustical plaster, and chrome banisters, along with the latest technology in fixtures." He was also ahead of his time in using lights theatrically. 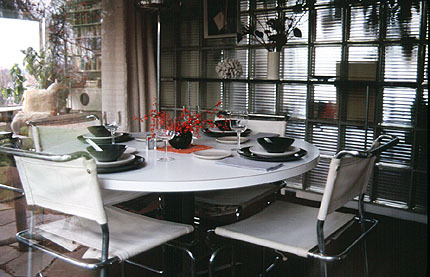 Read this description: "The lighting in the dining room, for example, mixes a single art-gallery spotlight recessed in the ceiling, whose beam exactly covers the circular table but not the diners; a second spotlight in the study, backlighting the glass-block wall between the two rooms and silhouetting the sprawling plant that climbs the glass wall; and exterior floodlights illuminating the trees in the garden"
I couldn't find a photograph of the dining room when the museum light is on and everything else is darkened. But it's a stunning photo that shows his forethought in creating a dramatic space. You'll see a photograph of it if you visit. So, if you're looking for inspiration with regard to architecture, design, or interiors and you'll be in New England...take a fieldtrip to the Gropius House and be wary of strange minivans. And yes, you can walk from the train station to the house. 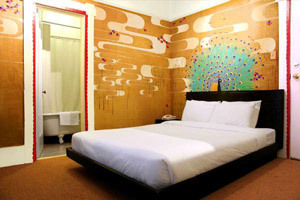 If I ever have a reason to stay in a hotel in San Francisco anytime soon (mind you, I live 20 miles away), I'll be booking my reservation at Hotel Des Arts. 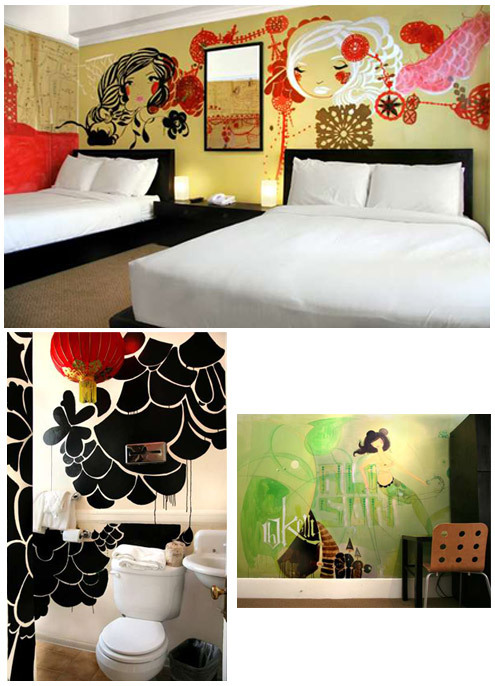 They have rooms designed and painted by emerging artists. 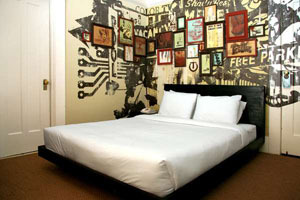 It would be just like staying in an art gallery and sleeping in one of the installations! 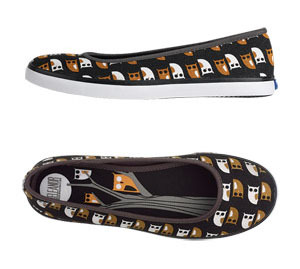 I bought these Keds skimmers designed by Eleanor Grosch. I like how the sole is also illustrated--nice detail. I wanted some Cornejo ones too, but couldn't bring myself to spend $138 on Keds. It just didn't seem right. In anycase, I love the latest wave of ordinary shoe companies collaborating with uber cool designers like Keds with Ms. Grosch and Zero Maria Cornejo and Easy Spirit and Tara Subkoff. Such an unlikely pairing. 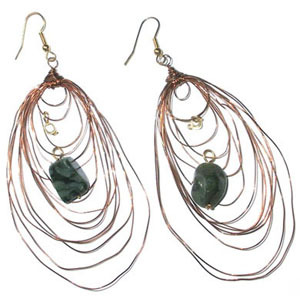 I also got these copper wire earrings from Hand Born.